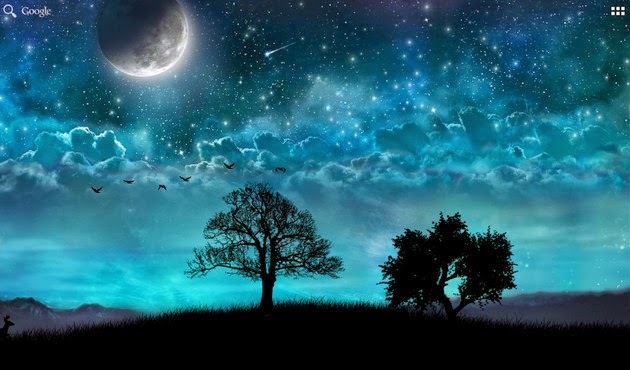 Feel the beauty of the night in this magical live wallpaper by Teragon. 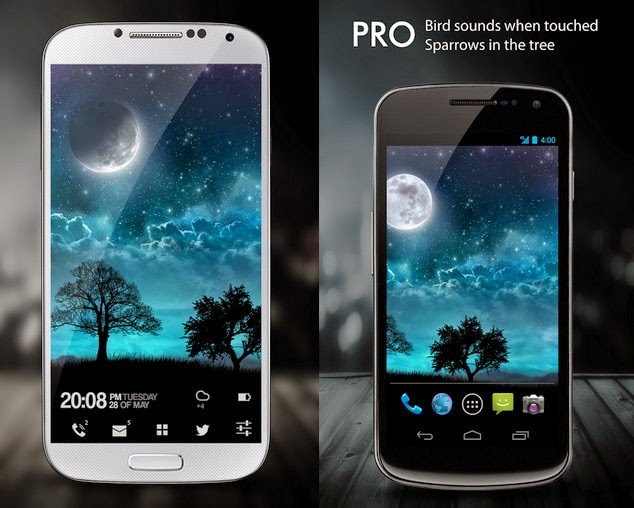 Free download Dream Night Pro Live Wallpaper (version 1.5.3), relax and enjoy the magical scenery! - Set moon shape to indicate battery level, or to indicate real-life lunar time, or choose a specific shape you like. - Tap to make shooting stars appear. - Trees can be touched and pulled. - Improved performance and reduced memory usage. - Added other types of winter trees to Pro version. - Added interactive windmills to Pro version. - Added a DayDream with Time display (for Android 4.2+) to All-in-One version.